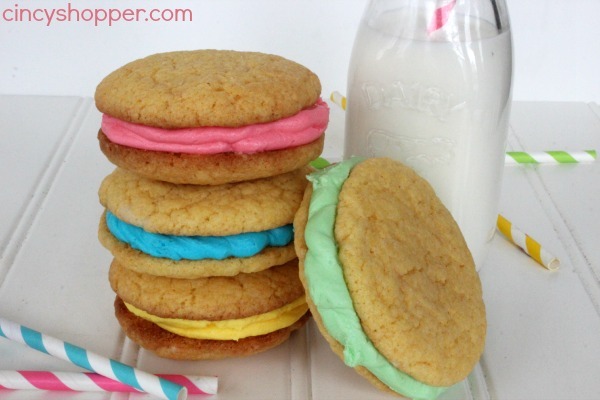 If you are needing a great spring time cookie that is simple and tasty, this Spring Cake Cookies Recipe is PERFECT. I am always needing a new cookie recipe to try. 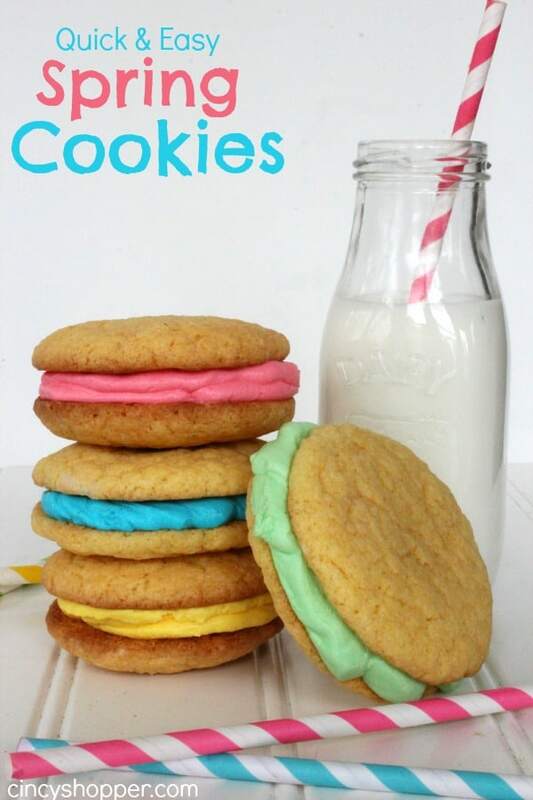 With spring here I was wanting to make a fun and colorful cookie for the family. After making my PEEPS Cupcakes the other day, I NEEDED to make the colorful icing again. The icing just “pops” and is yummy of course ha ha. 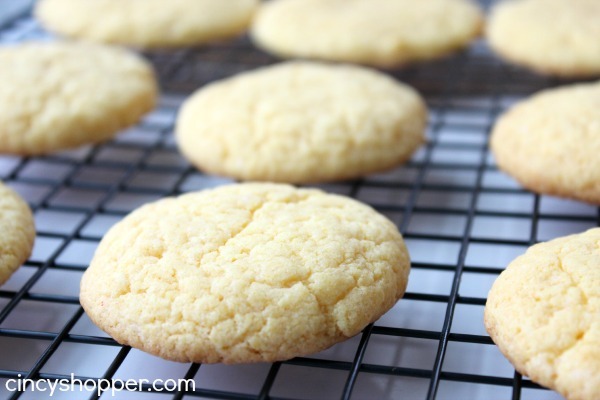 Cake mix cookies are so simple. My aunt suggested making them with a yellow cake mix. She kept telling me how good they were so I had to give them a try. I have never made them with a yellow cake mix. Wow, I was missing out. These cake mix cookies were awesome. This recipe is going to be a new staple cookie in our house. Just grab your cake mix, a couple eggs, some vegetable oil and your favorite icing (or you can use the buttercream recipe I use). 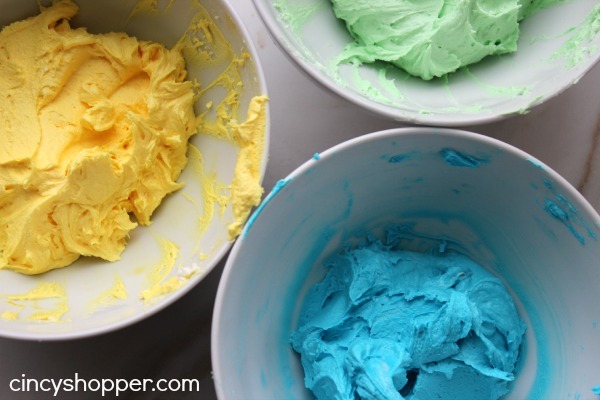 You can leave your icing white or add in food coloring for your favorite colors. I really liked the addition of the springtime colors. Thinking ahead these cookies are going to be great for any holiday. 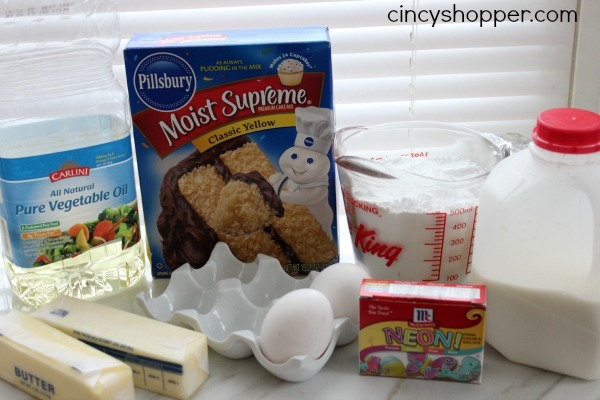 Combine cake mix, eggs and oil until mixture forms a dough. My daughter was amazed with this cookie recipe and couldn’t believe the yummy flavor was from a cake mix. I honestly was amazed too. I ate 2 of them after I finished snapping pics (they were that good). I am thinking I am going to need to have more control next time I make them. One at a time would have been enough, ha ha. If you are looking for other great Easter Ideas be sure to check out the PEEPS Cupcakes, Sheep Cupcakes, Homemade Butterfinger Eggs, PEEPS S’Mores, Easter Chick Deviled Eggs, Nutter Butter Chicks, Reese’s Peanut Butter Eggs Coconut Cream Eggs, Coconut Birds Nests Cupcakes, Easter Egg Cake Bites and the Chocolate Covered Peeps that I have shared this past week. I will be sharing some great recipes and DIY Crafts for all of your Easter Holiday needs in the next few weeks. Form dough into 1" balls and place on prepared sheet gently pressing down to flatten to about 2" round.